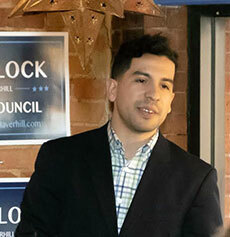 A 2012 graduate of Haverhill High School is the latest newcomer to seek election to the City Council. Twenty-five-year-old Joe Sherlock, president of his high school class, is building his campaign on affordability and changing the City Council to representation by ward. He said his family found Haverhill affordable when they moved here in 1994. He added, “That’s the story of a lot of families here in Haverhill, and I think that dream is slipping away today. We can do something about that.” He said his mom immigrated from Colombia and his dad is from the area but has worked at Walmart for the last 20 years. Noting Haverhill is 35 square miles with 400 road miles, Sherlock said Haverhill is increasingly diverse and residents should be represented by ward. Currently, all nine members of the City Council are elected at-large. Sherlock was introduced by Haverhill state Rep. Andy Vargas. Sherlock earned a degree in Government and Legal Studies with a minor in Economics at Bowdoin College. Upon graduation he signed up for Teach for America and taught fifth and sixth grade social studies in New Orleans. “One of the first things you learn? You can’t teach a hungry kid.” He said he had to bring a few extra apples to school in the morning. 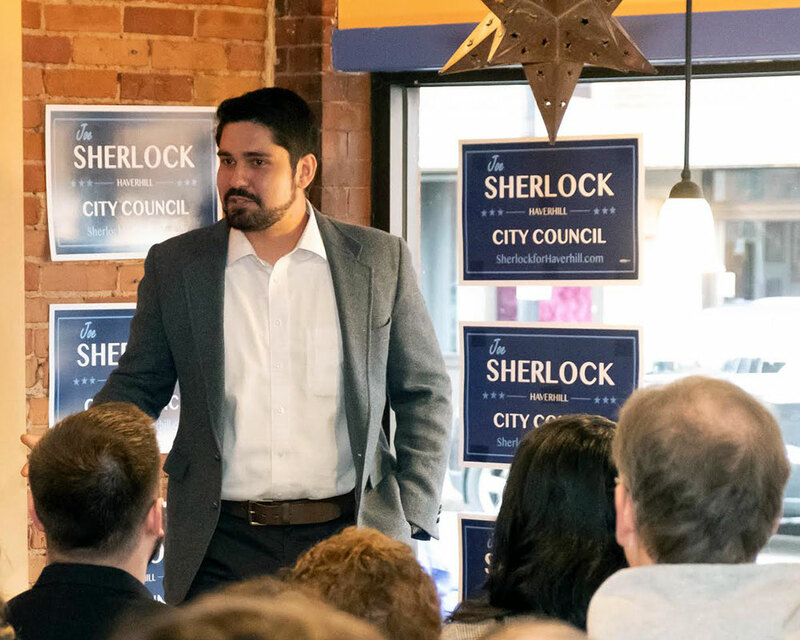 Sherlock returned to Haverhill and joined Congressman Seth Moulton’s team. He now works for Harvard Law School’s Legal Services Center as a paralegal advocate for students targeted by predatory lending.